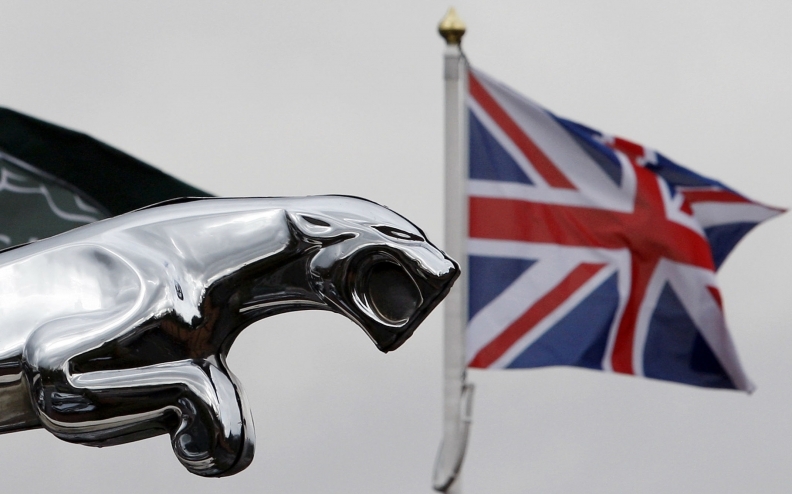 LONDON -- Jaguar Land Rover will cut about 1,000 jobs and reduce production at two of its UK factories due to uncertainty around Brexit and confusion over diesel policy leading to a fall in sales, a source told Reuters. Output will be cut at JLR's factories in Solihull and Castle Bromwich, affecting some 1,000 agency workers on short-term contracts, the source said. JLR said in January that its Halewood plant near Liverpool, which produces the Range Rover Evoque and the Discovery Sport, would temporarily reduce production later this year in response to weakening demand due to Brexit and tax hikes on diesel cars. The company did not detail any job losses. Jaguar sales are down 26 percent so far this year, while Land Rover demand dropped 20 percent in its home market as buyers shun diesel, concerned over planned tax rises and possible bans and restrictions in several countries. JLR, a unit of India's Tata Motors, declined to comment on the number of jobs which would be lost. "In light of the continuing headwinds impacting the car industry, we are making some adjustments to our production schedules and the level of agency staff," the company said. JLR said in the statement that it's continuing to recruit large numbers of engineers, graduates and apprentices as it invests in new products and technologies, and remains committed to UK plants in which it has spent more than 4 billion pounds since 2010.